Roger Sugden’s expertise includes academic achievements in Europe, U.S. Professor Roger Sugden, a scholar with extensive international experience in business education and global economics, has been appointed Dean of the Faculty of Management at the University of British Columbia’s Okanagan campus. Sugden’s appointment for a five-year term is effective October 2012. Sugden comes to UBC from service as professor of socio-economic development and founding Head of the Management School at the University of Stirling, U.K. He has led numerous prominent initiatives for the European Commission and British Council. Deborah Buszard, Deputy Vice Chancellor, says Sugden’s appointment is a significant step for UBC’s Okanagan campus. Wesley Pue, Provost, says the search for a suitable candidate to lead the Faculty of Management spanned the globe in the quest for academic excellence. 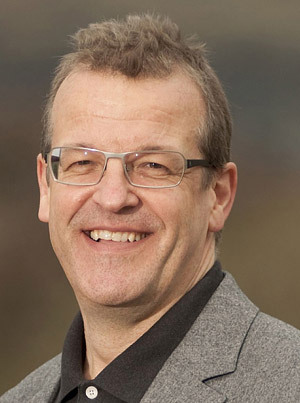 Sugden earned PhD and master's degrees in economics from Warwick University as well as a law degree from Sheffield University, U.K. He was founding Head of the Management School and Head of Internationalisation for Stirling University, ranked first in Scotland and eighth in the U.K. amongst world universities under 50 years old, according to The Times. Prior to this, Sugden served twice as Head of the Department of Commerce at the University of Birmingham, the oldest and one of the most respected business schools in England. During this time, Sugden served as director of inter-related research centres and led the school’s Industrial and Labour Economics Group to a five ranking in the U.K.’s Research Assessment Exercise. In addition to his work in the United Kingdom, Sugden has been a visiting professor at the University of Ferrara in Italy and has worked for significant periods at the University of Wisconsin-Milwaukee. Sugden has also delivered research seminars in many countries including Argentina, Chile, China, Finland, France, Germany, Ghana, Italy, Nicaragua, Spain and the U.S.
Sugden’s research has focused on economic organization and development, globalization, and on public initiatives stimulating socioeconomic democracy. Sugden has written five books, edited a dozen more and has nearly 50 principal publications in leading academic journals. Sugden eagerly anticipates taking the helm of the Faculty of Management. “The combination of UBC’s reputation as among the best in the world, its strong values and the special characteristics of the Okanagan campus offer a tremendous opportunity to develop an internationally unique faculty,” says Sugden. “I look forward to contributing to that development, and fostering the teaching and research expertise upon which it depends.